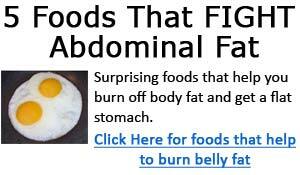 Are you looking for fast easy ways to lose weight and get rid of unwanted body fat? Are you overweight, feel lost about what to do with your weight issues, and have found it difficult to lose weight no matter what you try? Don't give up! While there are plenty of easy ways to lose weight fast, most of these methods are typically not healthy, and do not generate long lasting results - you will probably gain back the weight you lost! Although it's not easy to lose weight, but with the right knowledge and information, long term and permanent weight loss can be achieved. You just have to be patient, and have right fitness tools and knowledge at your disposal. The obesity problem in America gets worse year after year, and now, like us, our children are fatter than ever. For example, a survey found that from the early 1980's up to the late 2000's, children are fatter, heavier, and weaker, where 17% of all children are overweight. The statistics are even more grim for adults, where 34% of adults are considered overweight or obese. By being overweight, you are at increased weight related health risks. It's time to set your goals, and set yourself on the path to lose weight and improve your health. First, understand that fast easy ways to lose weight are typically unhealthy, and the weight loss results are rarely long lasting, and you're likely to gain back the weight you lost just as quickly. Instead focus on doing the right things and making small changes and adjustments to your lifestyle, diet, and exercising that will lead to permanent weight loss. There is no shortage of information available. Unfortunately, there is also large amounts of misinformation that do nothing to help you to achieve your fat loss goals. Before you start your weight loss journey, remind yourself to not become overly aggressive with your weight loss goals. If you become overly zealous in setting your goals, you may end up ultimately setting yourself up for failure. Losing motivation is one of the most common problems many people face, and a large part of it is because they set goals too high, find they are not achieving their goals, and lose their motivation, and give up on their weight loss efforts. You should set moderate goals that will provide a positive feedback and motivation once those goals are achieved. The goals you set should be realistic and quantifiable, and you should also set short term and long term goals. For example, "My goal is to lose 50 pounds", versus "My goal is to lose 1 pound per week over the next 12 weeks by improving my diet, and weight training 4 times per week. I will continue to exercise and maintain a good diet after I achieve my 12 pound weight loss goal." Which do you think is more reasonable, realistic, and quantifiable? The first goal simply has a weight loss target of 50 pounds, with no defined time frame or method to achieve that lofty goal. Compare that to the second goal. Losing just one pound per week is very reasonable. It has a short term goal of losing one pound per week, and a medium term goal of losing a total of 12 pounds over a 12 week period. More importantly, it also has a longer term goal of maintaining a good diet and continuing to exercise regularly after the initial weight loss goal has been achieved. Once you've set your weight loss goals, the next step is to decide how to achieve those goals - figure out what you need to do, and what it will take for you to succeed. Start off by evaluating your current situation and objectively assess your lifestyle, eating habits, and your level of daily physical activity. You need to know what you are feeding yourself, how much calories you consume each day, and where your calories are coming from. Keep a food journal for a week or two, and this will give you a good idea of how good your diet is, and what improvements are needed. Next, based on your goals set, you need to come up with a training program that involves working out several times each week. Every weight loss program needs to include a weight training component, since it is absolutely one of the most effective methods to burn fat and lose weight. Each pound of lean muscle you gain will help you burn an extra 50 calories per day, and that doesn't even involve you doing anything. If you were to just put on five pounds lean muscle, that would translate to an extra 250 calories burned every day - this is roughly equivalent to running (at 6mph) for about 23 minutes. The more lean muscle you gain, the easier it becomes to burn off fat. Your workouts should focus on compound exercises where multiple muscle groups and joints are involved in the lift. Aim to use a heavy enough weight that allows you to perform 6 to 8 reps. I won't go into any more details here since we have plenty of weight training articles and guides here. Losing weight and keeping it off is not as easy as it sounds. As long as you can set achievable goals, craft a plan to achieve those goals, and a stick with your plan, you will achieve success. Stop wasting your time looking for the miracle diet pills, amazing weight loss gadgets, or other fast easy ways to lose weight. These are simply a waste of time and money. The real time tested method to lose weight and lose fat is through a combination of having a sound diet, a good weight training program, and a cardio training program. Two weight loss programs that we recommend are Tom Venuto's Burn the FAT and also the Fat Loss for Idiots Diet plan. Both are excellent weight loss programs that have helped many overweight individuals achieve their weightloss goals. The Fat Loss for Idiots diet is a straight forward and easy to understand diet plan based on calorie shifting. It provides you with all the essential knowledge to make your fat loss a success. The Fat Loss 4 Idiots diet program has gained immense popularity because it works, and followers of the Fat loss for Idiots diet have written very positive reviews and feedback. If you have failed at weight loss before, and if you're searching for a diet plan that works, then you should consider trying the Fat Loss for Idiots diet.